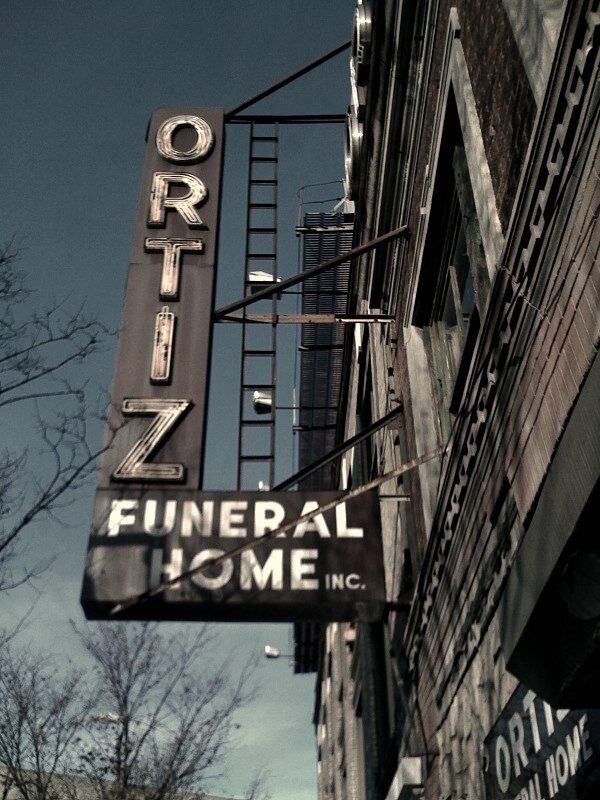 Believe it or not Ortiz Funeral Home is a chain with several locations in the New York City area. Although looking at this neon sign you can tell that this location has been in Williamsburg for a long time. What's odd about he location is that it sits right next door to the ramp where the Williamsburg Bridge joins the Brooklyn Queens Expressway (this shot was taken on Havemeyer Street). On the other side is a parking lot and entrance. This page contains a single entry from the blog posted on November 30, 2008 4:48 PM. The previous post in this blog was Nachos at Buffalo Cantina. The next post in this blog is Unsung: George Ferrandi and John Orth.